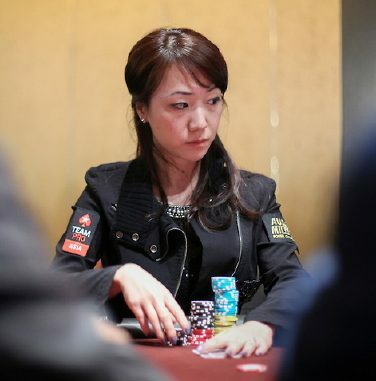 Marketing material ahead of the 2013 Aussie Millions posed the question “Are you the King of Poker?” Three female players – Jay Tan, Celina Lin (pictured) and Kitty Kuo – are hoping the answer is “no” as they enter day four of the Main Event at Crown Melbourne today. A total of 36 players remain in contention for this year’s title, along with the $1.6 million first prize, with WA’s Ray Ellis holding the only stack of more than one million – 1,044,000 to be precise. Close behind is Patrik Antonius, with the US-based Finn showing rare form and poised for a shot at the final table holding 957,000. The field was reduced from 69 players on day three, with just five of the starters missing a spot in the money. Australian Poker Hall of Famer Gary Benson was the bubble finisher after a see-sawing hand with Phil Ivey. Benson’s pocket 10s flopped a set against Ivey’s pocket jacks, but a 9 on the river landed a straight for the poker superstar. 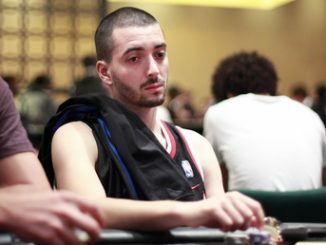 Other players eliminated on day three included Canadian Elliot Smith, who made it four Main Event cashes in five years to go with his third-place in 2009. Daniel Neilson (37th), 2010 Main Event winner Tyron Krost (41st), Bill Jordanou (54th) and Didier Guerin (62nd) also headed for the rail via the cashier’s cage. Meanwhile, the elute line-up of contenders still in the hunt for the title include Brandon Adams (739,000), James Obst (660,000), Dan Shak (596,000), Lee Markholt (558,000), Dylan Honeyman (532,000), Kitty Kuo (507,000), Jay Tan (494,000), Minh Nguyen (418,000), Phil Ivey (399,000), Daniel Laidlaw (312,000) and Celina Lin (188,000). The remaining 36 players will return today (Friday) at 12.30 pm for day four action, which will be played six-handed. • The third running of the highly anticipated $250,000 buy-in Challenge commenced late yesterday afternoon, with a field of 14 players representing a solid result for organisers. 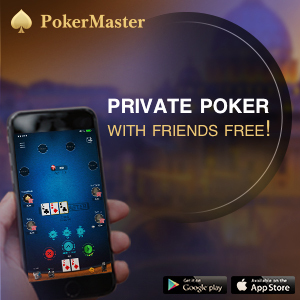 The field comprised many of the players who had earlier contested the $100,000 buy-in event – Antonio Esfandiari, Igor Kurganov, Tony Bloom, Sam Trickett, Tobias Reinkemeier, Andrew Robl, Fabian Quoss, Richard Yong, Paul Phua, 2011 winner Erik Seidel, Philipp Gruissem, Winfred Yu, Gus Hansen and Jason Mercier. The prizepool was boosted by $1 million after four players – Robl, Hansen, Bloom and Phua – elected to rebuy after being eliminated. Day two will start with eight players returning to the felt in pursuit of the first prize of $2 million. Paul Phua has played in all three editions of the $250,000 Challenge during the Aussie Millions, investing AUD $1 million in buy-ins. He is yet to see a return on that investment.